The Pioneer Stand is for the archer who wants to make a statement. This is an absolutely gorgeous target and stand set up that will look astonishing in your yard. 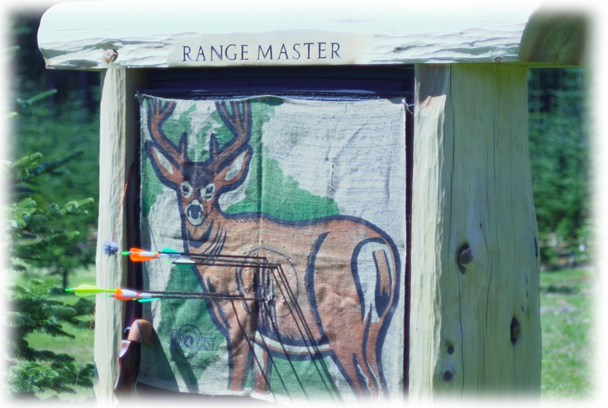 Most archery targets and ranges can tend to be an eye sore. This is a classy piece of yard art that even your wife will be proud of. The stand can be personalized to have your last name, the name of your hunting camp or the name of your archery club. The Pioneer Stand by ArroLast is made with 18”-24” Western Red Cedar poles by one of the world’s most well-known log cabin builders. The Pioneer stand comes complete with a RangeMaster 48 target ($675 value).